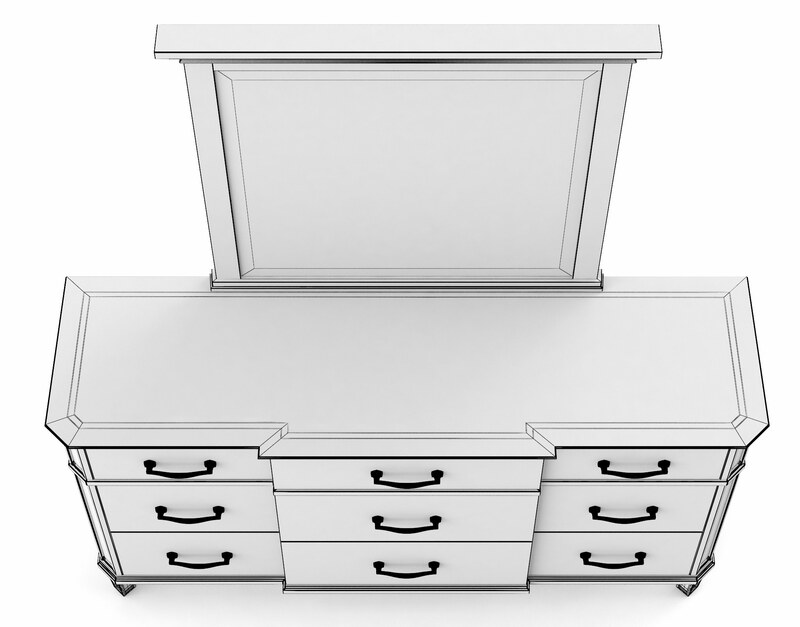 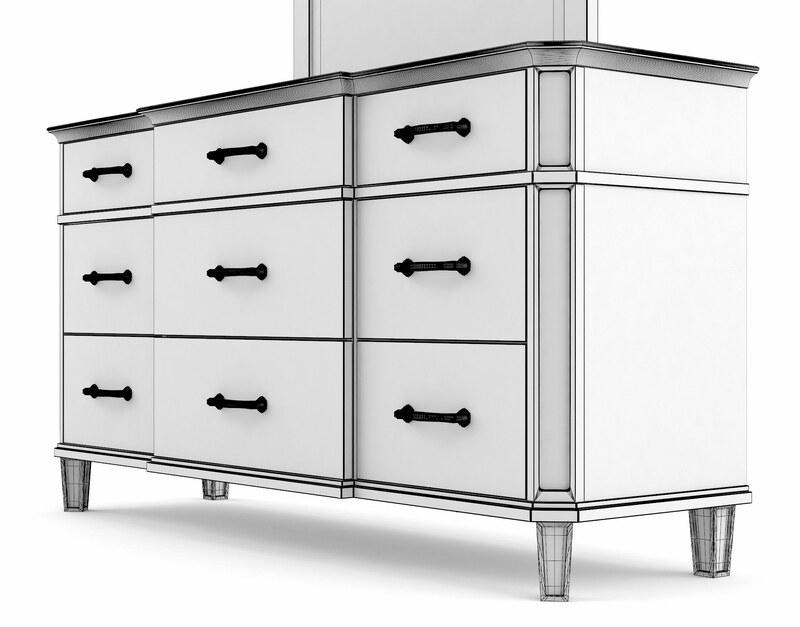 The Alvius Dresser & Mirror 3D Model is a magnanimous presentation of design motif and flare. 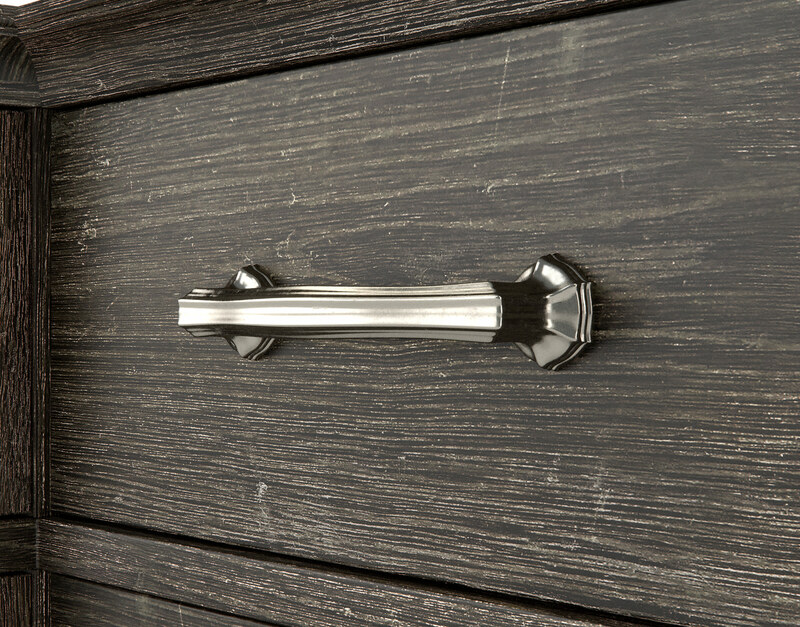 Its almost-hidden carved recessions in the chamfered post design offers an alluring change of pace from many imitation designs common today. 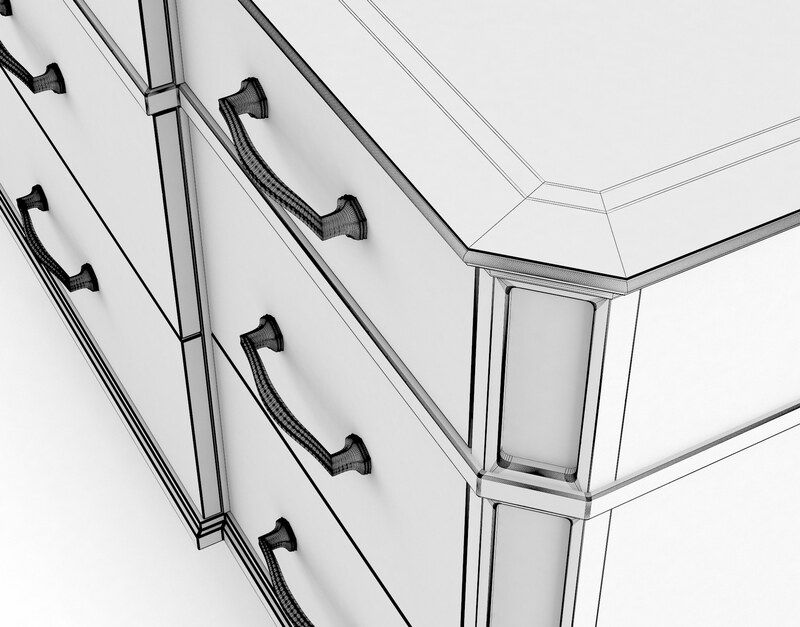 The breakfront drawer-front design on this piece allows the under molding on the top surface to really accentuate the complexity of this design in a way that, if it were edible, would be considered Devil’s food. 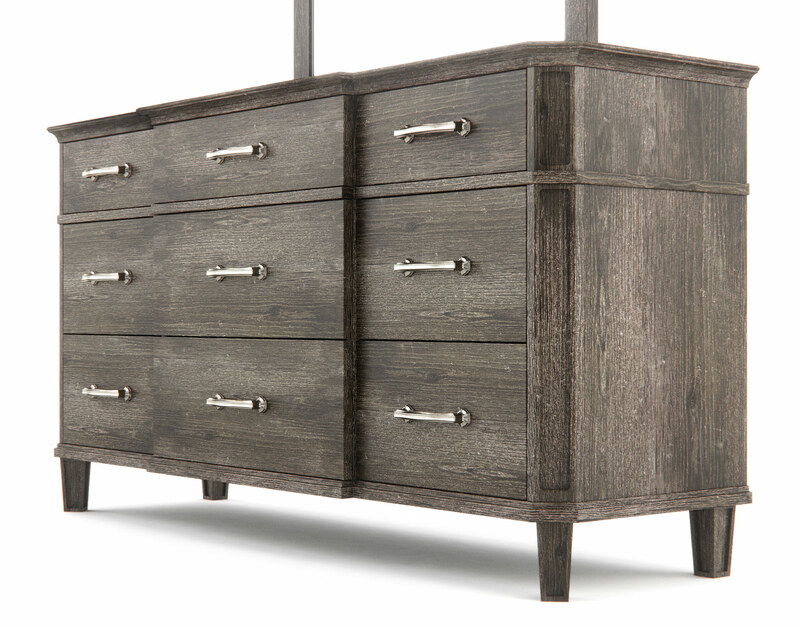 Drop this piece into bedroom renderings to create quite a stir of interest and acclaim. 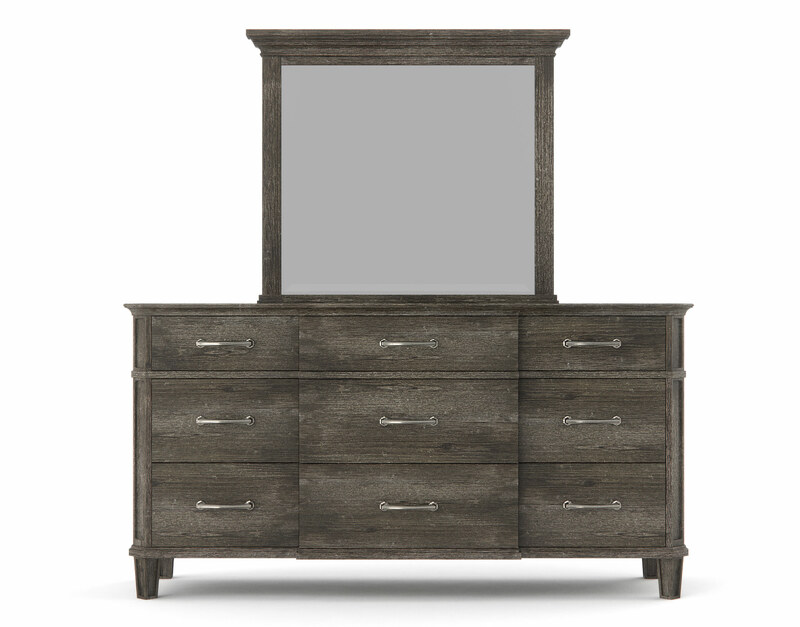 The Alvius Dress & Mirror 3D Model is a tremendous design inspired by French Chic motif and accentuated by a rustic bleached oak veneer, a double inlay of light oak on the surface, and an intricately-conceived set of worn nickel bar pulls on the drawer fronts. 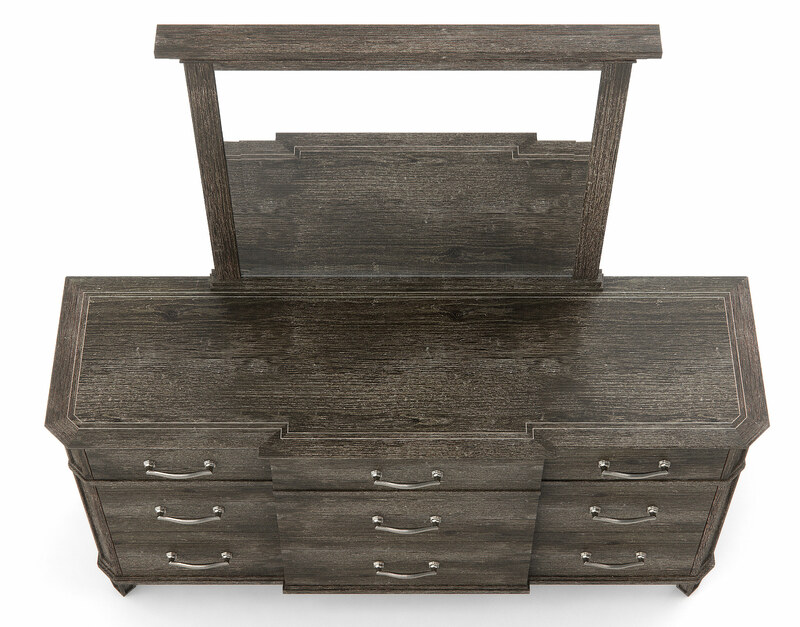 This unique design affords a tremendous impact on the overall style of any space in which it is rendered though it maintains a respectful contribution towards overall focus through via its use of subtle and neutral tones and textures. 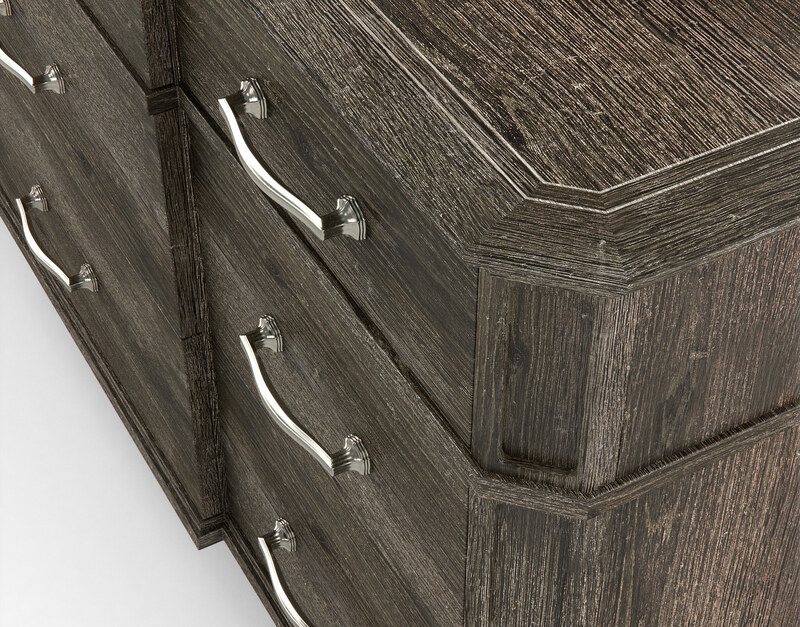 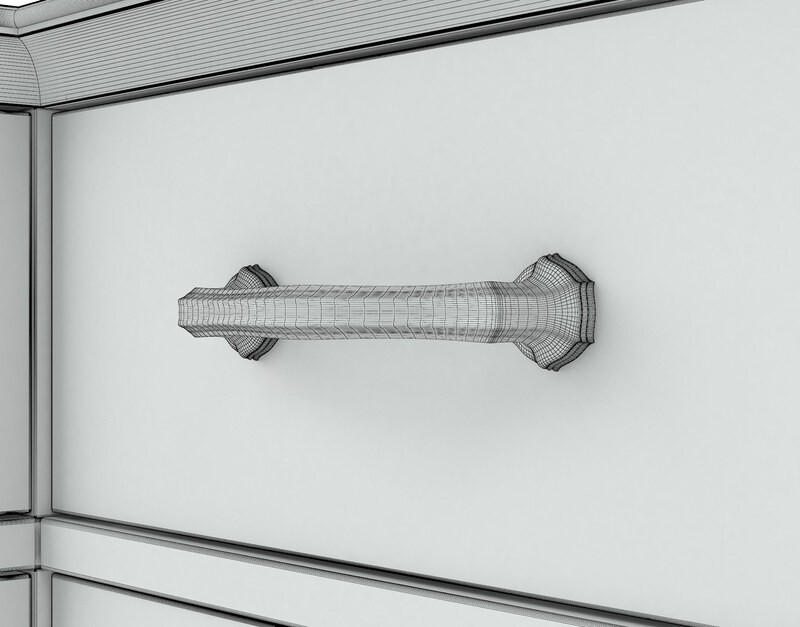 This model was created and optimized in 3DS Max using the VRay rendering engine and VRay materials. 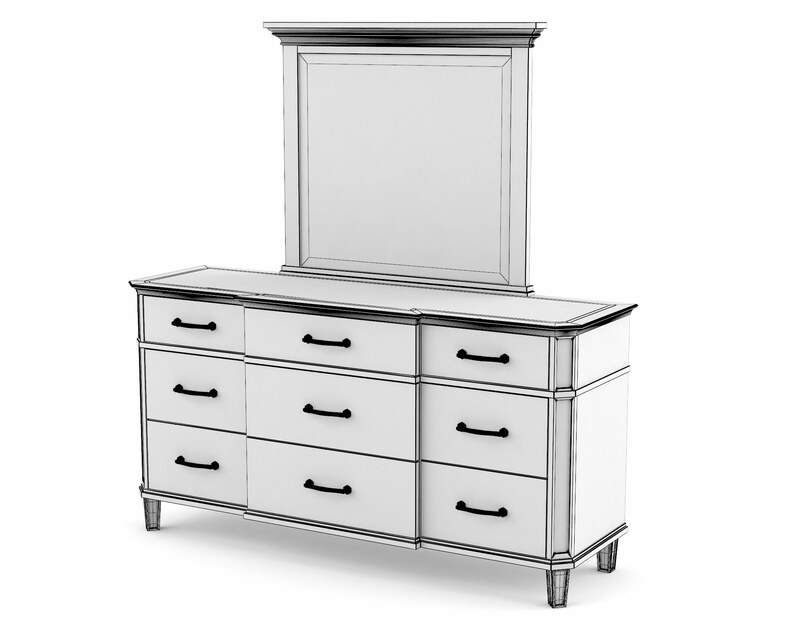 This piece is clearly designed for the bedroom but could be used without mirror as a large accent piece in other areas such as living rooms and hallways. 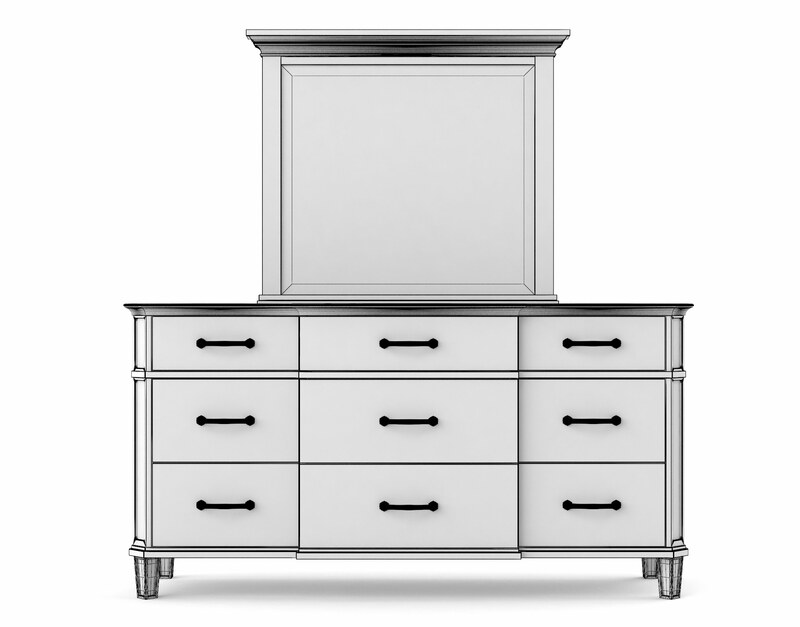 The Alvius Dresser & Mirror 3D Model can serve as an astute individual among any bedroom scene but works best alongside other members of the Alvius collection. 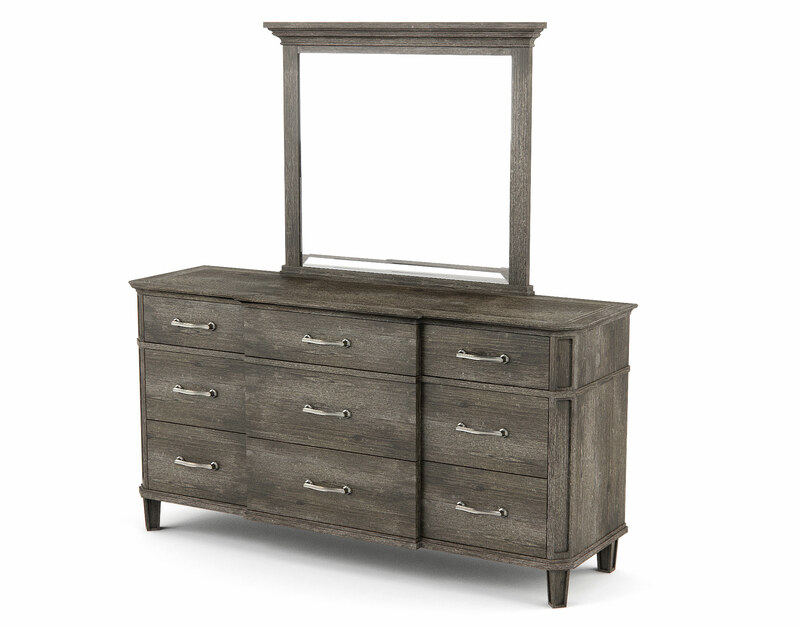 This model is very complimentary to scenes with light colors, open spaces, natural light, and large window areas.